January 1st marks the start of the new year. Have you ever wondered why that date was chosen to start the new year? Why doesn’t the new year begin March 1st or August 1st. Why not on one of the Equinox? To know we’ve completed one orbit of the Sun we need a reference point, a ‘fixed’ point in space to measure our planet’s movements against. The Equinox and solstices slowly shift from year to year. March 1st remains March 1st only because it is fixed against that fixed reference point. Since we are measuring planetary motions within the solar system, we need our fixed reference point to be outside the solar system. As you’ve probably guessed we use the stars, and since we’re using the stars why not use the brightest! 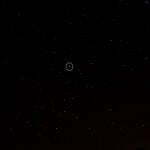 The brightest star in the sky, as seen from Earth is Sirius. Sirius is a binary star consisting of the primary blue-white star, which we see, and a white dwarf companion. At a little over 8 light-years away it is also one of the closest stars to Earth. With a magnitude of -1.4 it is almost twice as bright as the second brightest star Canopus. So what does Sirius have to do with January 1st marking the beginning of the new year? It is the night the Earth passes between the Sun and Sirius in its’ orbit. If we were to draw a line running from due south to north, passing directly overhead, you’d get a line we call the Meridian. It divides the sky in half east-west.  When something is east of the Meridian it is rising and considered ante-meridian (A.M.). When it reaches the Meridian it is at its highest point in the sky. It then passes west of the Meridian beginning its’ journey down toward setting and is considered post-meridian (P.M.) On the night of Dec. 31 / Jan 1 Sirius crosses the Meridian at midnight. The night before it crosses the Meridian approx. four minutes past midnight. The night after it crosses the Meridian approx. four minutes before midnight. Since midnight is opposite the Sun, objects that are on the Meridian at midnight are objects the Earth is ‘passing’ that night. Take a moment to spot the New Year’s star. If your out in the early evening you can spot Sirius in the Southeast. If you are out at midnight to ring in the New Year you can spot it due south. It’ll be easy to spot, after all, it is the brightest star in the sky! 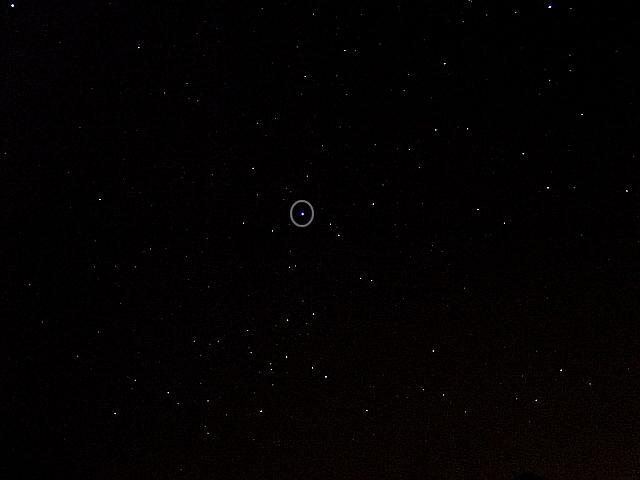 Sirius (circled) is the brightest star in the night sky and the brightest star in the constellation Canis Major. Click to see full size.